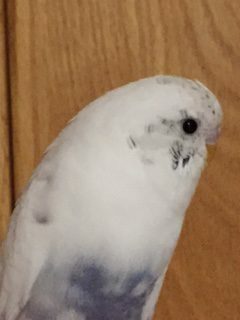 I haven’t had budgies as pets since I was a child, but we were recently given one by a friend, and I decided to give it to my daughter so she can learn the responsibilities of caring for a pet. She is a very sweet budgie and her name is Rosey, but I do feel that since she sits by her mirror all day she must be feeling lonely. 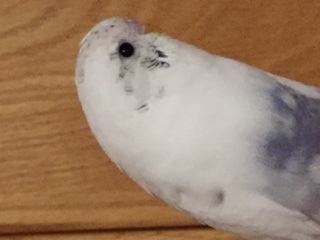 She is also rather quiet for a budgie, which I think is due to the fact that she is a bit lonely. I will definitely have to look at buying another budgie to keep her company soon. She enjoys being taken out once you can pry her away from her mirror in the evenings and sits quite contently on my daughter’s shoulder. I have clipped her wings so that she cannot fly too high, but I may have taken a bit too much off, as when she does take off she lands with quite a thud on the floor, and I am worried that she might hurt herself. They don’t eat much and that makes them very cost effective pets. They aren’t as loud as a cockatiel or parrot, so they won’t irritate you or the neighbours. They are easy to train if you get them young. Budgies are very easy to look after. It is a matter of giving the cage a good clean out once a week, blowing out the seed daily and giving them fresh water daily. They don’t need a big cage. Providing you teach your child how to handle the bird gently, they are great for kids as they don’t bite too sore. They can be trained to talk. Budgies come in a multitude of different and pretty colors. Some people buy a budgie to match the color of their lounge. They don’t have as long a lifespan as some of the bigger parrots. Most budgies live under ten years. 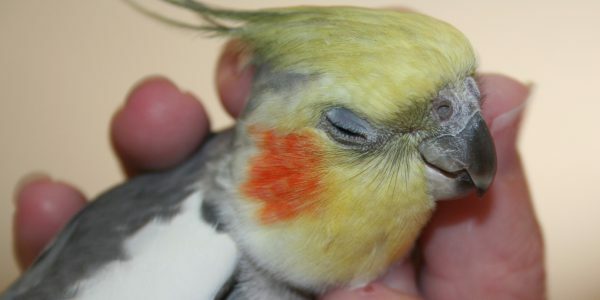 They need to be handled gently as they are more fragile than the bigger members of the parrot family. They can’t be mixed with other birds in an aviary, as they are quite aggressive towards other species. They can however, be successfully placed in the same enclosure as cockatiels, who are placid by nature. What do I need to buy for my Budgie? Firstly you will need a cage. Budgies don’t need a big cage unless you have a few budgies. The bars for a budgie cage are closer together than the bigger parrots. Here are a few examples below. If you want to find out more about the cage, simply click on the image. You will also need to purchase some budgie seed for your bird. You will need to blow out the husks each day from the seed, as the budgie will eat the inside of the seed and leave the husk behind. Make sure to offer your budgie fresh fruit and vegies in addition to the budgie food, and a cuttlefish or calcium block place in the cage will also benefit the health of your bird. The perches in the cage are quite narrow compared to the larger parrot species, but he will need some perches in his cage. If you have one budgie some toys or a mirror are a good idea to keep him entertained. Remember that the cage should be cleaned out at least once a week, and the water needs to be changed daily. How Much Do Bird Cages Cost?